At Reece & Nichols, we believe that the reason we are the number one real estate company in the Kansas City area is our agents. At Reece & Nichols Southgate, our agents are real estate and market experts in Prairie Village, Brookside, Waldo, Mission Hills, Kansas City, and the surrounding communities. Whether you are buying, selling, relocating, or just wanting to learn more about homeownership, or team of experienced real estate experts is here to help. Our agents specialize in the residential home market ? both new and resale ? 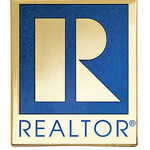 and can provide you with market information and real estate advice most valuable to you and your next home purchase!